In 1991, Viola Homes began developing a new neighborhood, Silver Woods Subdivision, that consists of 132 lots and is located in the Town of Penfield. Host to Homearama 2000, this development is about half complete and offers residents a number of extra amenities. Each house has a dusk activated post light to make the streets safe and inviting during the night. 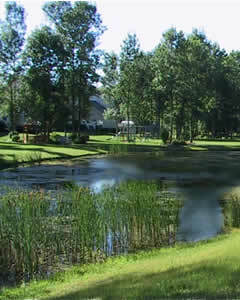 Mature trees have been preserved and an existing pond was enhanced to add visual appeal to the development. Cosmo Viola donated fourteen acres of the original parcel to the Town of Penfield, which has developed the gift to appear as parkland.